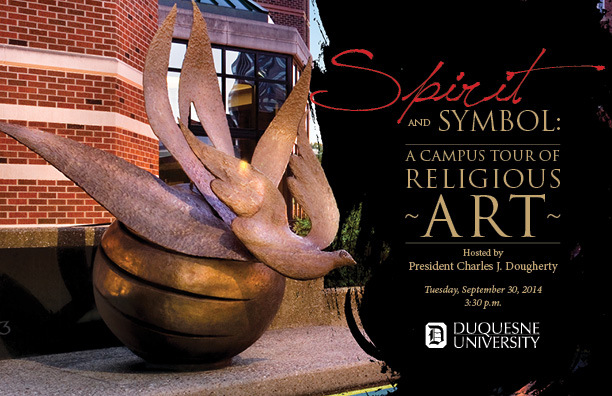 "Spirit and Symbol: A Campus Tour of Religious Art"
President Charles J. Dougherty will lead a walking tour of religious art on our Bluff. Learn about the history and symbolism of key pieces of public art that beautify our campus and contribute to making us a community of "One Heart, One Spirit." "The Mystery of the Crucified One in Byzantine Hymnography and Iconography"
This presentation will discuss Byzantine icons and hymns of the Crucifixion, examine their biblical-exegetical basis, and ponder their theological claims. Dr. Bogdan Bucur is an Associate Professor with the Department of Theology. His work explores the link between biblical exegesis, doctrinal developments, and spirituality in early Christianity and the Byzantine tradition. 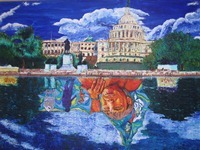 "Encountering the Other: Catholic Social Teaching and Art"
"Through my art I hope to create images that strike a chord in the soul that resonates in the mind a state of wonder. Being in awe of humanity's possibility and celebration of the dignity of each person is reflected in how well society is creating a 'peace-filled' world. The artwork is more than social commentary of images and symbols; it is the story of you and I in relationship." - Matthew Walsh, Assistant Director, Spiritan Campus Ministry. 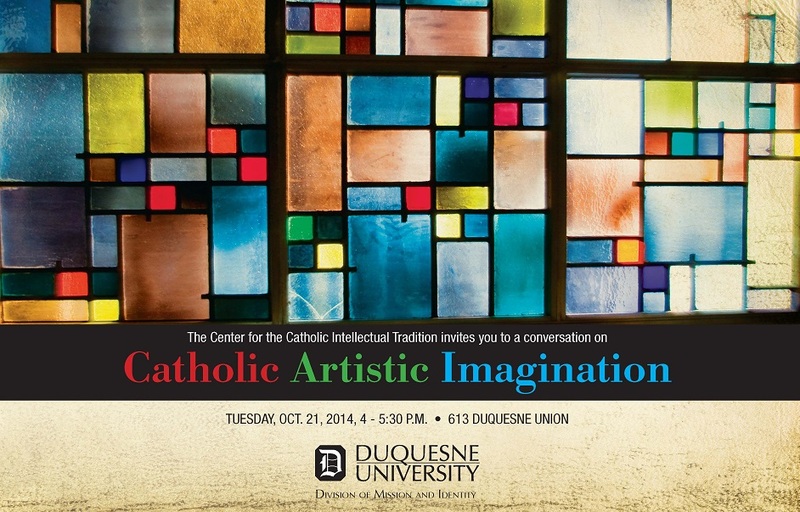 Join us in exploring some of the key principals of Catholic social thought through the artist's imagination. "Rublev's Icon of the Trinity"
Our series continues with a consideration of iconographic representations of the LORD's appearance to Abraham in the form of three men (Gen. 18). Early Western and Eastern icons interpreted this passage Christologically. The Russian iconographer Andre Rublev, in his famous icon on the Trinity, illustrated the same event as an interaction between the three persons of the Trinity and an invitation addressed to the viewer to participate in the life of the Trinity. Dr. Radu Bordeianu will share his expertise in a relaxed setting. 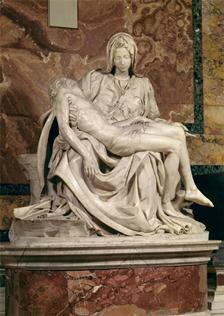 This series of receptions will begin with a consideration of Michelangelo's artistic engagement with Catholic liturgy and devotion, focusing on his first major commission, the Pieta in St. Peter's. 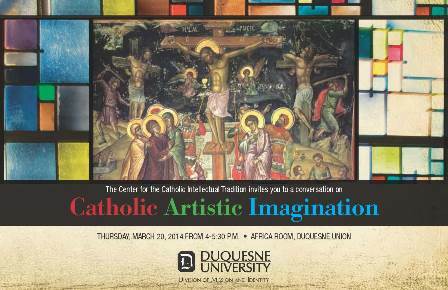 Emily Fenichel, Visiting Assistant Professor in Art History, will share her expertise in a relaxed setting.